Federal agents have arrested a suspect, identified as a 56-year-old Cesar Sayoc, following a spate of suspicious packages sent to top Democratic officials in recent days. Here’s what we know about the suspect so far. Sayoc is a resident of Fort Lauderdale, Florida. He was arrested in nearby Plantation. Both locations are just a few minutes north of Opa-locka, home to a mail facility raided by federal agents on Thursday evening, and believed to be the source of the suspicious packages. Sayoc has lived in Florida since 2006, and before then lived in New Jersey, Alabama, and Michigan, but was born in Brooklyn, New York, according to public records. Sayoc’s alleged mailbomb blitz is not the first time the Floridian has appeared on law enforcement’s radar. The 56-year-old was sentenced to a year’s probation in 2014 for theft and battery. Before that, Sayoc was in and out of court on numerous occasions, for a litany of offenses ranging from unpaid parking tickets, to theft, domestic violence, possession and distribution of steroids, and in one 2002 case, threatening to “throw, place, or discharge” a bomb. Sayoc is registered as a Republican and certainly appears to be vocal about his political beliefs. Photos of his van, seized outside an auto shop in Plantation, show every window plastered with right-wing, pro-Trump messages. Sayoc’s arrest looks almost certain to bar him from voting in next month’s crucial midterm elections, however. His van will be taken to an FBI field office in Miramar, Florida, for examination. Of the 12 pipe bombs Sayoc allegedly sent, none exploded. Law enforcement initially treated all of the devices as potential live explosives, but later discovered that several were duds. Not all devices have yet been analyzed. Whens the last time you heard of up close photos of a mail bomb being broadcast on national news within 1 hour of an attack? 0 for 6 explosions, was there even explosive material? Where are the post markings? If courier, then why stamps and a return address? 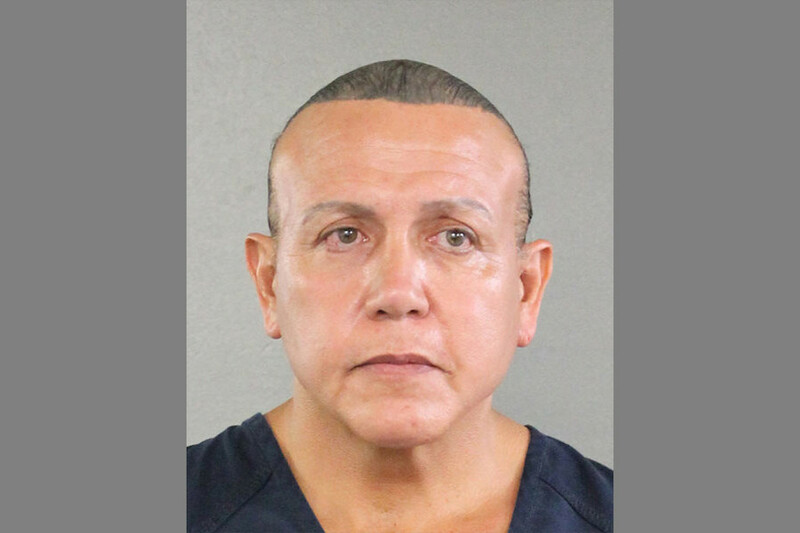 Among other flaws, Sayoc used fireworks-grade explosive powder, forgot to seal the ends of the PVC pipes correctly, provided no power source to detonate the bombs, and appeared to simply tape a cheap alarm clock to the devices in place of an actual, working timer. A federal official told Reuters that the would-be bomber may have copied instructions from one of several widely-available online manuals like ‘The Anarchist Cookbook’, a 1970s-era bombmaking and hacking manual. Unlike ‘Unabomber’ Ted Kaczynski, who orchestrated a long-running letter-bombing campaign from the late 1970s until the mid-1990s from a cabin in rural Montana, Sayoc lived a public life in a metropolitan area of six million people. Dozens of social media photos of Sayoc surfaced within minutes of his arrest, including several showing the suspected bomber attending one of President Trump’s trademark campaign-style rallies, and others showing a sharp-suited Sayoc out and about with a female companion. Sayoc was also a business owner. Public records show the Florida resident started a company in 2016, called Native American Catering & Vending.